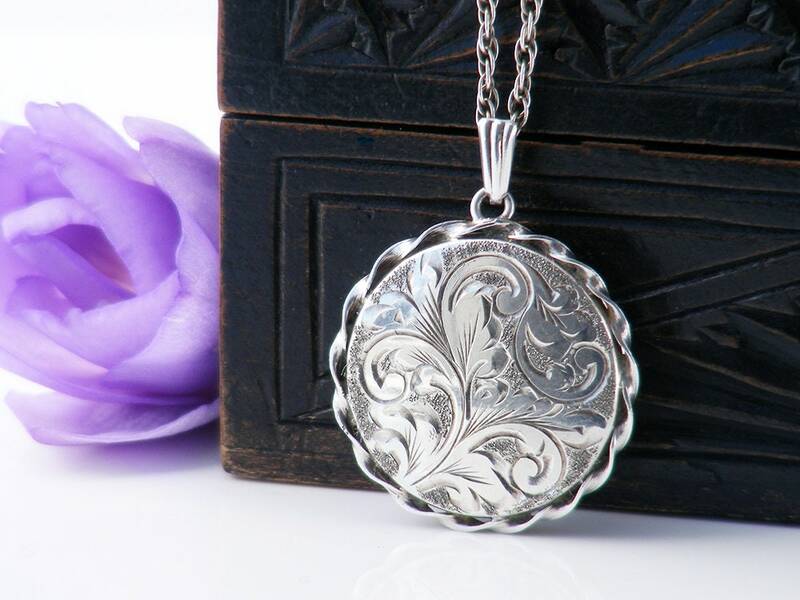 A very elegant vintage sterling silver locket engraved with classic Acanthus scrolls and with a decorative 'pie crust' edge. English sterling silver with a hallmark for 1975. The maker's mark 'W.T.T&CO' is also present, this is the stamp of W T Toghill & Co of Birmingham, England. 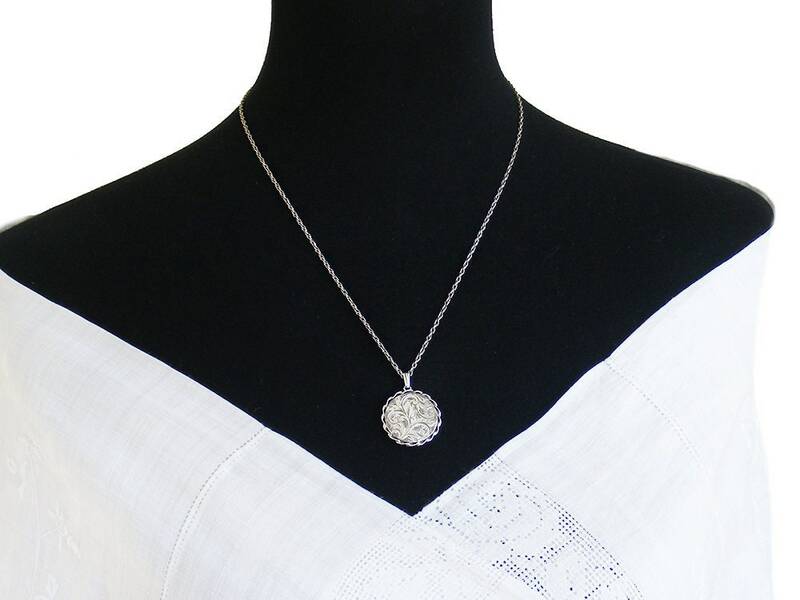 The triangular bail is well articulated so that the locket moves and sits well on the chain. 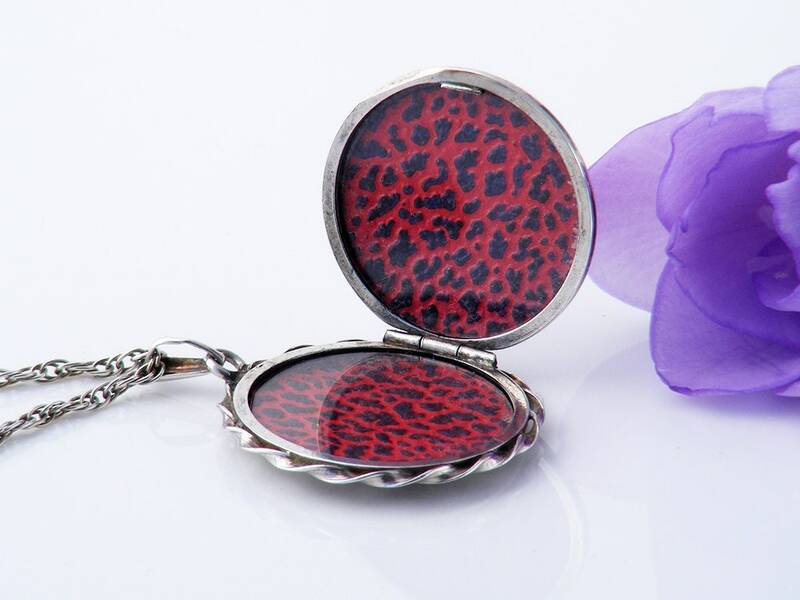 The locket opens towards the back and the original red leopard print papers are inside with clear photo covers. 1 inch or 25mm diameter and approximately 5mm in thickness. The total drop from the chain, including the bail is 33mm. Age: 1975 - 43 years of age. Weight: 5.4 grams without the chain, 8.6 grams with the chain. Condition: Excellent. No issues at all. 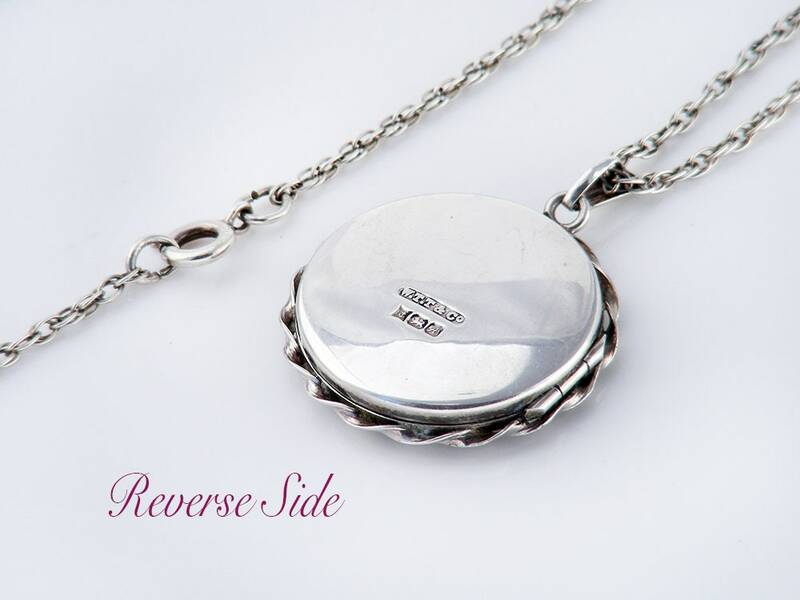 The hinge is strong and the locket closes tightly; a very well made locket. On its original chain, a sterling silver twisted rope link, 20 inches or 51cm long. Photograph #2 shows the locket and chain on a life size torso. .
Classically lovely, a very pretty piece of vintage English sterling silver.